There are dramatic differences in health outcomes between those who live in most of central Israel and those on the country's northern and southern periphery. Addressing this disparity requires several solutions, including Yad Sarah's "Home Hospital" program, recently introduced in Israel's Southern periphery. 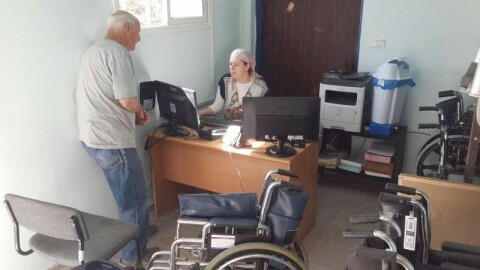 Through Yad Sarah's "Home Hospital" program, the organization lends out medical equipment from hospital beds and hoists to wheelchairs and oxygen tanks to, whenever possible, enable the elderly, injured and sick to receive care at home -- not in a hospital. By facilitating timelier discharges of patients, the program promises to reduce pressure on overwhelmed hospitals and ensure that beds are available for those in greatest need.